Designed with hiking and biking in mind. 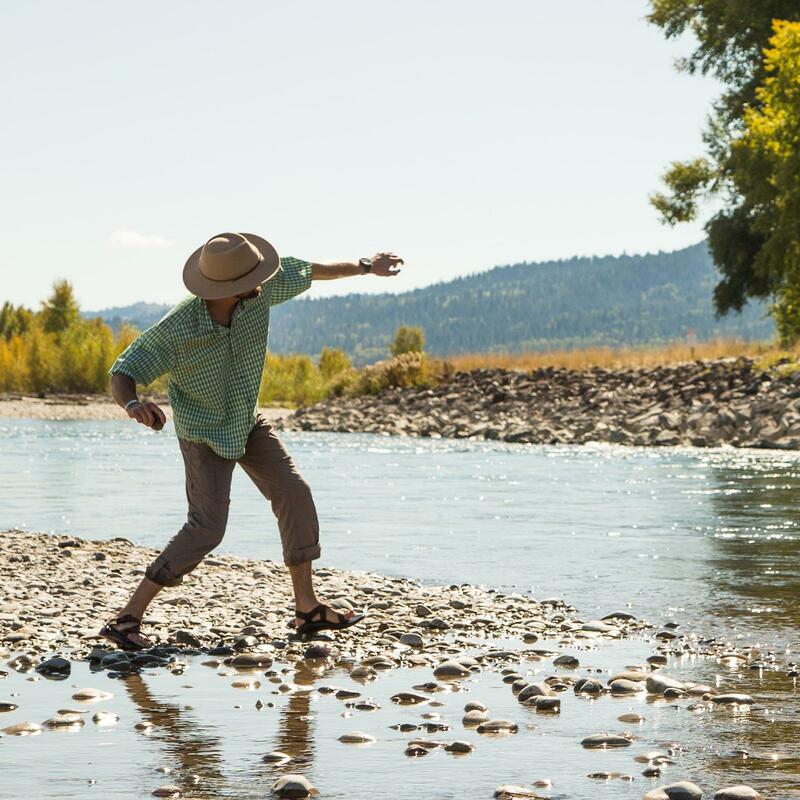 UPF 40+ (blocks 97% UVB rays), seven pockets including two zippered security pockets, full-length action gusset, articulated knees, and "mud flap" reinforced heel cuff with adjustable snap. All Mountain I wear a 35 waist - Alpine Utility I wear a 36 waist - Teton Crest I wear a 36 - all slims. With that being said....I don't care what pant you buy from Mountain Khakis you will love them. 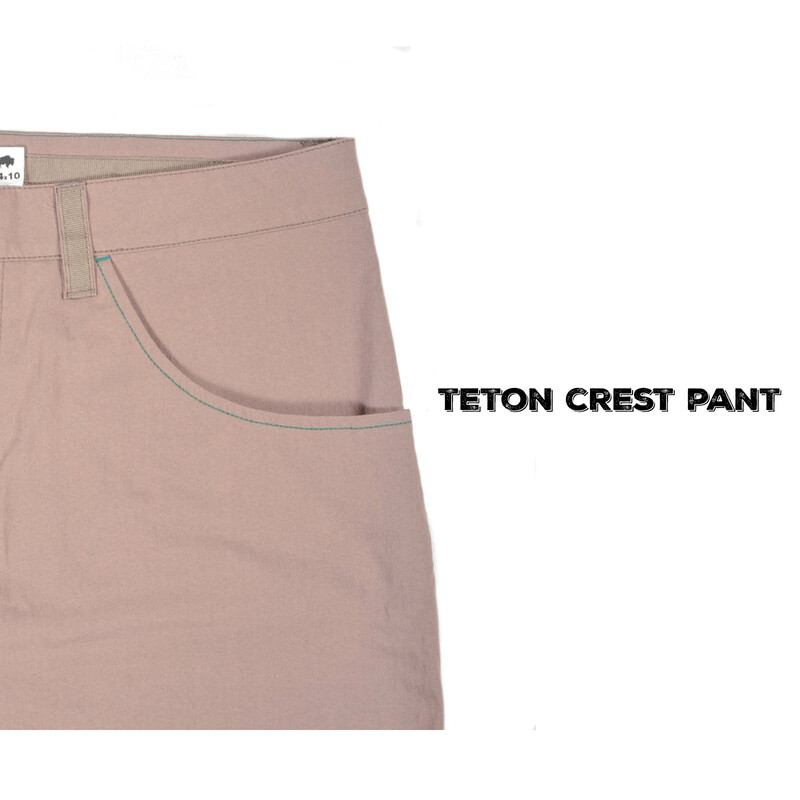 Haven't had a chance to wear the Tetons yet as the snow is still melting in WI but I can tell they will be my go to pant this outside of winter due to the style, fit, construction and fabric. It's weird that a guy would get so excited about a package of clothes being delivered but that's what happens when you order anything MK! The material is excellent. I would like a similar thigh pocket on the left. Not as slim as I thought. Would buy again!!! Another nice pair of utility pants. Very nice pair of light weight pants. I have worn them while biking and they were really comfortable. Nice stretch to the fabric. I am an environmental scientist and explorer who spends a bit of my time working in remote, fairly extreme environments. I was initially skeptical about taking this fabric into the back country so I eased into what I used them for. I've had them for just under a year, but they've been with me for two expeditions to the Peruvian Andes, a trip into the Amazon basin, hiking around Hawaii's Mauna Kea volcano looking for a rare bird, and a few trips into the Colorado Rockies. The fabric is impressive. Though they are 72% cotton, they do dry very quickly and they are tough as nails - they show very little wear despite a year of abuse. They're fairly comfortable in warm weather too. Also, the fabric doesn't stretch out much when wet, which is a failing of many nylon fabrics. In short, unless I know that I'm getting heavy precip in cold conditions, these have become my go to hiking pants. The only reason they don't get 5 stars from me is that, for hiking pants, the cuffs are cut a bit narrow, which makes them look a little awkward for high-cut hiking boots; however, the cut of the cuffs make them look better with low top boots and better for rock climbing as well. If I destroy these tomorrow, I would immediately order another pair. Great job MK!